My husband and I are birders. People frequently stop us and ecstatically tell us about such-and-such a bird they saw at their feeders, or describe a bird and ask us to help identify it. When my neighbor had Mourning Doves nesting in her trellis, I thrilled at peeking at the baby doves and watching them change and grow. I get excited when I see the first “snowbird” blue-gray gnatcatcher return from its summer home up north. I feel joy when I hear the bugling call of sandhill cranes and proud when I see tiny chicks begin to toddle after their parents. My love affair with birds runs deep, to say the least. Well, we had a great time at the conference didn't we? Barbara Jackson, the conference chair, did a magnificent job and *things* went off without a single hitch. Yay! 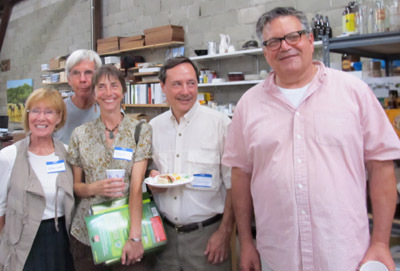 The last conference event was a "Thanks to our volunteers party" at Jim Draper's art studio in Jacksonville. There were great refreshments; we looked at the FNPS Flickr photos of the conference and past conferences (Click the link to see them yourself. ); and we enjoyed the ambiance of the art studio. 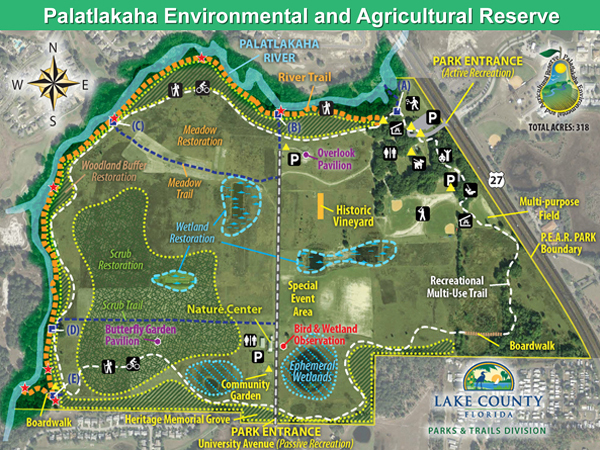 Live blogging from the FNPS 2013 conference - Florida Native Plant 5/17. 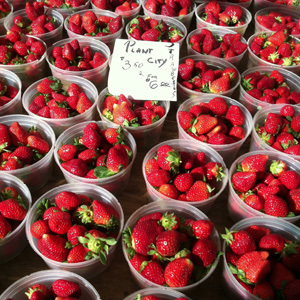 Florida Native Plant Society Blog: Live blogging from the conference 5/18. 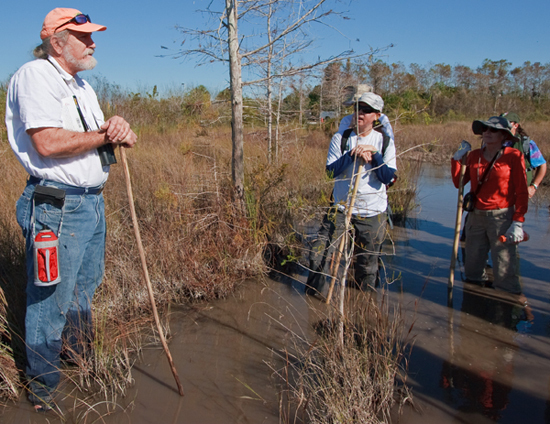 Florida Native Plant Society Blog: Live blogging from the conference 5/19. 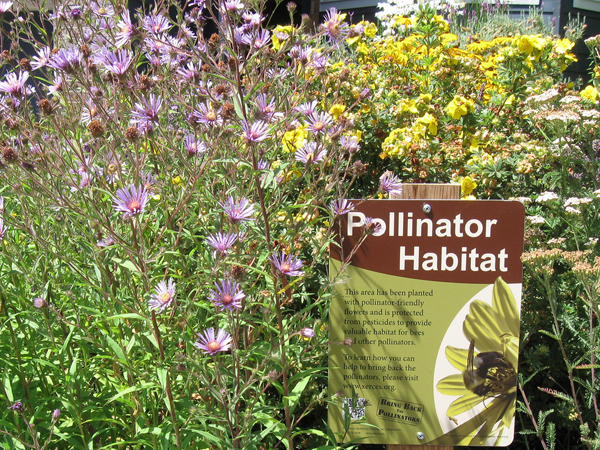 Creating habitat for pollinators means much more than knowing which color flowers a given insect is attracted to. It involves knowing the life span and understanding the forage and shelter needs of each individual pollinator at various stages of life. For that reason, I'll begin part two of this blog with a bit more detail about the life cycles of Florida's most important pollinators. Although bats and birds CAN pollinate flowers, the majority of the world’s pollinators are insects. We can divide these insects into 4 major groups: bees and wasps, flies, butterflies and moths, and beetles. They all go through the same basic life cycle: egg to larva to pupa to winged adult. 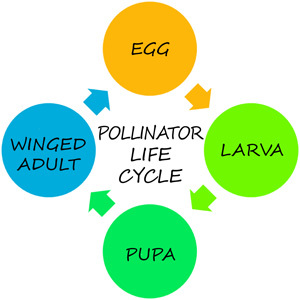 Where the eggs are laid, larva mobility, what they eat during their life stages, and duration of each stage is highly variable.